The KONG TenniShoes toys have tennis balls for paws. These animals bounce around and contain a squeak. The unpredictable movements make this the perfect toy for any dog. 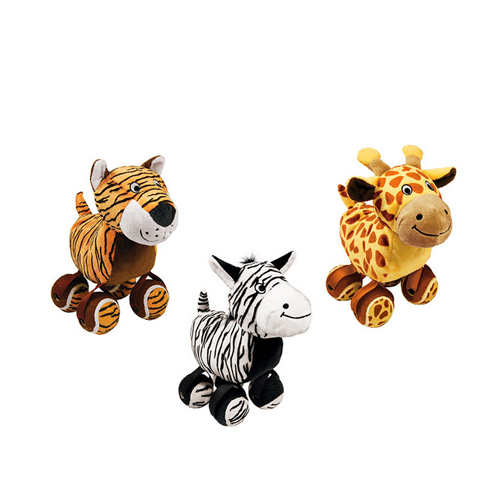 The plush toy is available in giraffe, zebra and tiger. Have you used KONG TenniShoes before? Let us know what you think about this product.